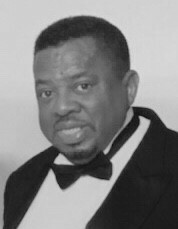 Obituary for Evangelist Mitchell J. Washington, Sr. | Wright Funeral & Cremation Services, Inc.
Evangelist Mitchell J. Washington, Sr.
Evangelist Mitchell J. Washington, Sr., 76, of Coatesville PA, went home to be with the Lord on Wednesday, January 16, 2019 at Bay Health Hospital in Dover, Delaware. He was the devoted husband of the late Regina Turner Washington, with whom he shared 43 years of marriage. Born on April 19, 1942 in Coatesville, PA, he was the son of the late George D. and Gwendolyn (Morton) Washington. He was a member of Cornerstone Fellowship in (Wagontown) Coatesville. He enjoyed fishing, sports, creative drawing and sketching. In high school, he excelled in track & field often achieving awards and accolades for his fashionable performance. He also was an avid Pittsburg Steelers fan. But mostly he enjoyed sharing the Good News of Jesus Christ with those he met. Mitchell will be deeply missed by his sons, Steve L. Parker of Reading, PA, Sgt. Mitchell G. Washington (Katina) of Indianapolis, IN, Mitchell J. Washington of Uniontown, PA; daughters, Armenta L. Washington of Philadelphia, PA, Ninivar A. Washington of Baltimore, MD, Tara L. Kelly of Dover, DE; daughter whom he raised, Orlette S. Johnson (John E. "Yogi") of Coatesville; brothers, Erwin G. Washington of Glenside, PA, Francis Washington, Sr. (Sylvia) and Andrew J. Washington, both of Coatesville; sisters, Janet Miller, Evelyn Simmons, Marie A. Spann (Doug) all of Coatesville; 15 grandchildren, 7 great grandchildren, and a host of nieces, nephews, cousins and friends. Funeral services will be held 11 AM Friday, January 25, 2019 at Cornerstone Fellowship,101 Kylies Rd, Coatesville, PA. A viewing will be held from 9 AM until 10:45 AM. Interment will be in New Evergreen Cemetery, Coatesville, PA.